As of November 2018, 103,407 refugees and migrants have arrived in Europe, according to the UN Refugee Agency (UNHCR). The UNHCR record that 97, 651 refugees and migrants have arrived to the Mediterranean by sea, and 5,756 by land. The highest number, 53, 187, arrived in Spain. UNHCR also estimate that 1,987 people have died or have gone missing while trying to make the journey to reach the Mediterranean. These figures represent a decrease when compared to 2017 in terms of persons arriving by sea – in 2017 there were 172,301 arrivals, and 3,139 people were estimated number to have died or gone missing. The most common nationalities of arrivals were Guinea, Syria, Morocco and Mali. 27.3 per cent of people making this journey were children, and 16.0 per cent were women. On October 27, the Spanish maritime rescue service reported in just one day, they saved over 520 people trying to cross from North Africa to Spain. 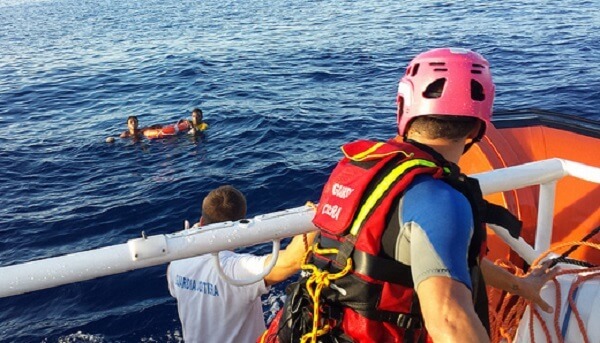 However one baby died despite efforts by rescuers, after a small boat carrying around approximately 55 migrants sank in the Mediterranean Sea. In addition, another boat carrying 70 refugees and migrants arrived at the Canary Islands in the Atlantic Ocean.